Most of us know someone, be it a friend, grandfather, parent, or another family member, who takes medication for hypertension, or high blood pressure. Not only is high blood pressure common in the Western world, but our risk of developing it increases as we age. At the same time, many people find that they also have trouble sleeping as they age, a concern often caused by the age-related slowing of melatonin production. Could the two be related? New research suggests there might be a link between melatonin and blood pressure. It is no surprise that our bodies change as we get older, with the changes being more pronounced inside our bodies than on the outside. Our blood vessels become less pliant, paving the way for hypertension and a variety of cardiovascular diseases. Changes to the body's circadian rhythm also contribute to poor health. For instance, our blood pressure normally follows a predictable rhythm. 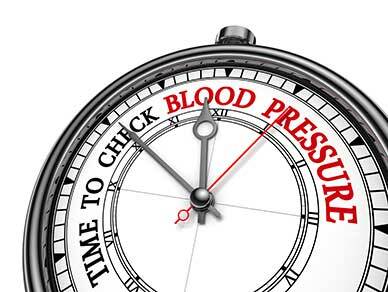 As we age, blood pressure becomes more variable and unpredictable. Rather than rising and falling in a predictable way, it tends to become more reactive and follow external cues rather than an internal clock. With all of this in mind, could there be a link between circadian rhythm, melatonin, and blood pressure? In a recent study, elderly people living in a community for older adults were followed for a week, with attention given to their normal lifestyle and any medications taken. 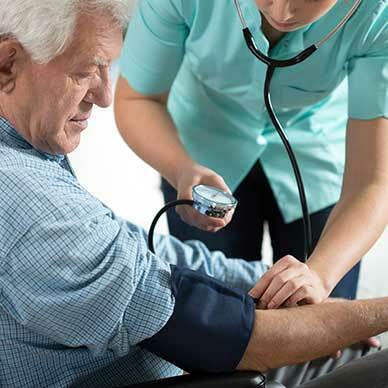 The individuals in the study all suffered from hypertension of varying degrees and had an average age of 80. Participants were then instructed to add a melatonin supplement to their daily regime. After just two weeks the results were surprising. After adding a melatonin supplement, blood pressure decreased on average by approximately eight points, which is significant. In addition, those who took melatonin had less variability in blood pressure and a more predictable blood pressure rhythm, suggesting that melatonin may be helpful in protecting against some of the negative effects of aging on our blood vessels. This breaking research into the link between melatonin and blood pressure suggests that a daily melatonin supplement may go a long way toward keeping blood vessels healthy. Because blood pressure is a major risk factor for a variety of serious, life-threatening health problems, these findings could have potential immense effects on overall health. Lower blood pressure is desirable in almost all cases and can reduce the risk of serious complications like heart attacks. In addition, high blood pressure variability is an important indicator of future disease risk. People who have high variability are at risk for a variety of diseases such as chronic kidney disease. 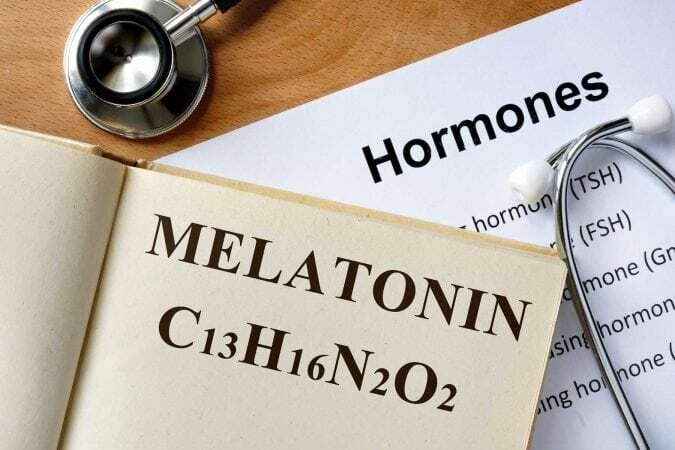 Released by the pineal gland in response to cues from the suprachiasmatic nucleus (SCN) of the hypothalamus, melatonin had been a major focus of research for years due to its essential role in maintaining the circadian rhythm and a regular sleep-wake cycle. Melatonin levels typically decrease with age, causing disrupted or insufficient sleep in many older adults. The age-related reduction of melatonin may be partially responsible for some of the effects that we associate with aging. For instance, some of the memory loss that we associate with aging may be actually due to a lack of adequate sleep, as sleep is the time during which we consolidate memories. Because sleep is also when our cells rejuvenate and heal from the damage of the day, some of the accumulated damage we associate with aging may be partially due to age-related loss of melatonin. People jokingly say that sleep is the best medicine. However, research indicates that this is actually not a laughing matter. Maintaining a healthy circadian rhythm, including the addition of a melatonin supplement if needed, may be one important part of preventative medicine. Cultivating a healthy sleep-wake cycle is important because we do not sleep only to dream, but also to complete essential cell repair processes that keep us healthy and happy. It's important to discuss any supplements or new over the counter medications with your physician. However, evidence is increasingly indicating that melatonin may be one of the most potent natural healthy-aging supplements available. From your blood vessels to your short term memory, the healing and rejuvenating effects of melatonin support good health from the inside out. Adding this simple and safe supplement may make all the difference in your lifelong well-being.